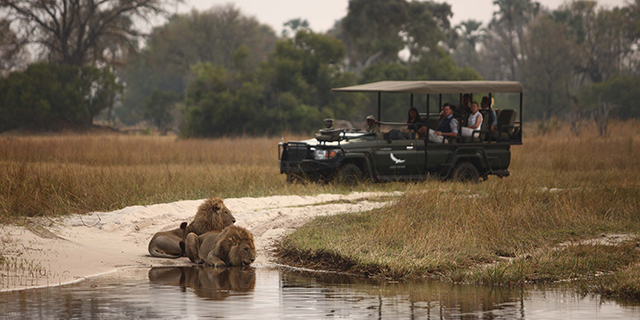 Botswana is widely regarded as one of Africa's premier safari destinations. It combines large volumes of wildlife, excellent species diversity, scenic splendor, and high levels of exclusivity on private concessions. The Botswana government strictly controls the number and type of camps that are constructed in its wilderness areas, and limits the number of visitors that can enter these areas. 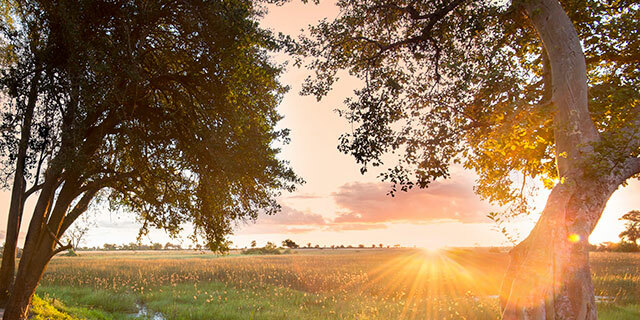 Botswana features three major safari eco-systems: the Okavango Delta, the Chobe/Linyanti, and the Kalahari (visit our Destination Map for more specific information, and accommodation options). The Okavango Delta, covering nearly 6,000 square miles, is the largest inland delta in the world, bigger than the state of Connecticut. Even more remarkable, it exists in the middle of the Kalahari Desert as a giant oasis teeming with wildlife: no part of Africa has a higher concentration of game than this "jewel of the Kalahari". 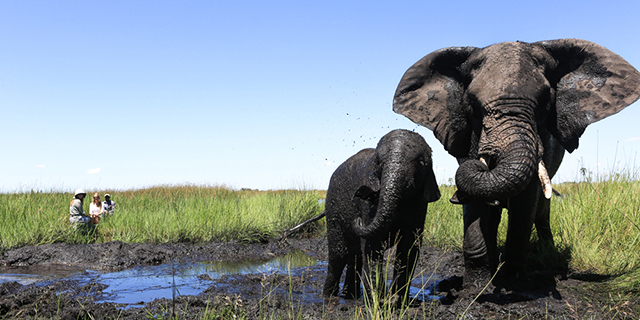 The Chobe/Linyanti ecosystem in the far north of Botswana is part of a vast, unfenced wildlife corridor that links five countries and is home to considerable volumes of game, including Africa's largest elephant population. The Chobe and Linyanti Rivers are the lifeblood of this otherwise dry area, attracting substantial herds of animals, particularly during the dry winter months of May through October. The Kalahari Desert, which is four times the size of Great Britain, is one of the largest deserts in the world. In addition to the spectacular Makgadikgadi Salt Pans, the northern Kalahari hosts Africa's second largest wildlife migration following the meager summer rains (December through March), when waves of grazers move onto the endless plains to feast on nutritious, sprouting grasses. 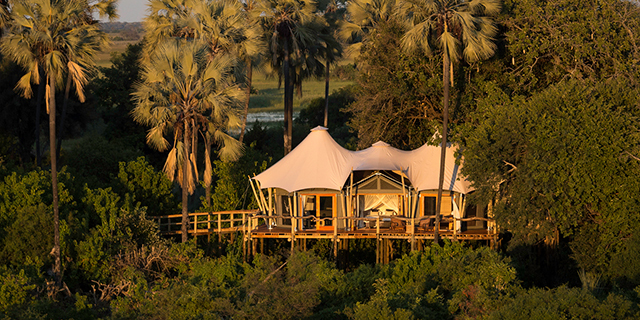 Botswana is the quintessential "tented safari camp" destination. Camps in Botswana are small (ten rooms or less), and range from very comfortable to exceptionally elegant and luxurious. Another strength of Botswana is that it is an excellent year round destination, featuring a high quality safari experience for 12 months of the year. 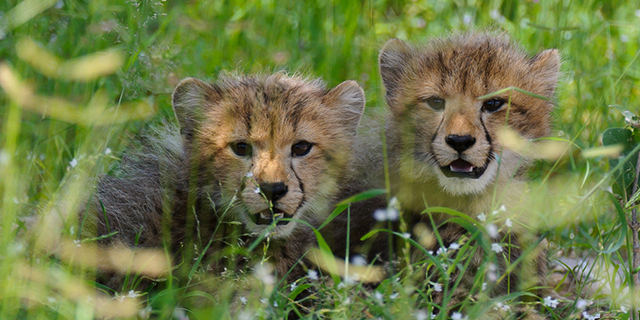 Classic Africa offers both tailor-made and small group safari options to Botswana. Travelers wishing to visit Botswana should plan long in advance (preferably 18 months or more) because of very limited availability at safari camps.